Camp Noah is more than a day camp — it is a powerful experience for campers, their families and the volunteer staff. 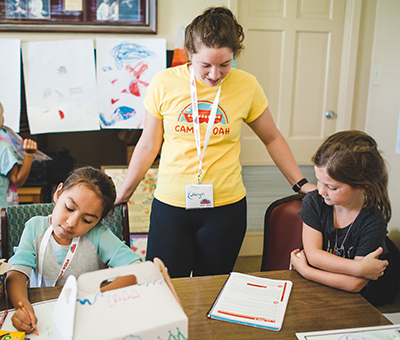 It takes lots of people, energy and resources to make Camp Noah happen in disaster-impacted communities across the country. We invite you to get involved! Camp Noah depends on the generosity of our friends and community partners to fund and support this important and life-changing work. There are many opportunities to share your gifts and talents with Camp Noah. Register your child to attend a Camp Noah event happening in your community. Thank you for your contribution that helps make Camp Noah possible! Subscribe to our E-Newsletter, view our News webpage and follow us on Facebook, Instagram, Twitter and YouTube for the latest updates and ways to get involved.